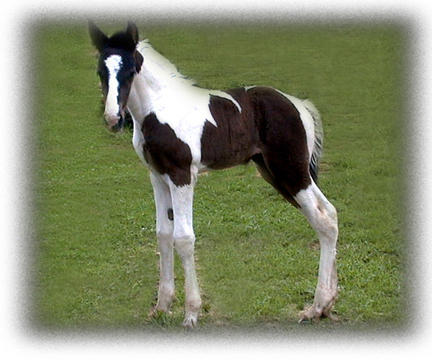 Sky High Ryder is a Black and White Homozygous Tobiano Stallion who traces his tobiano to the Foundation Tobiano mare Sandy Sun's Sally on the top and bottom of his pedigree. He stands at 15.3 H at five years. Research into the pedigrees of Registered Tennessee Walking Horses indicates that a mare named Sandy Sun's Sally (#471671) is one of the first registered Tennessee Walking Horses to carry and pass on the tobiano gene to registered Tennessee Walking Horse offspring. Sandy Sun's Sally's pedigree traces to the foundation of the registry. There was another. 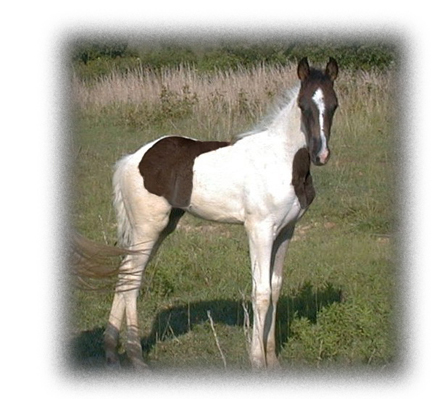 Joy Walker by Joe Allen was also an early tobiano. 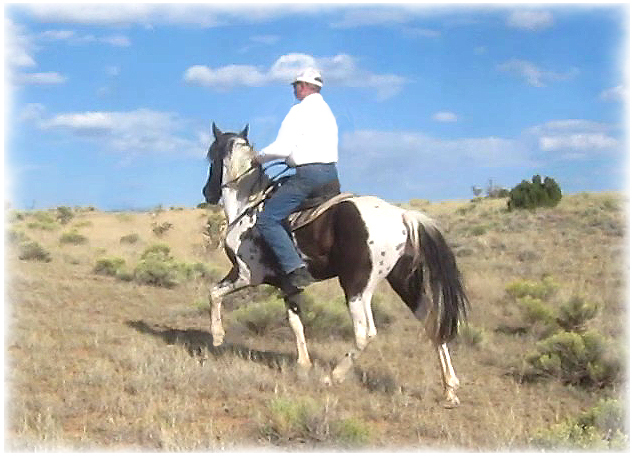 The last progeny of Joy Walker registered with TWHBEA was in 1950. 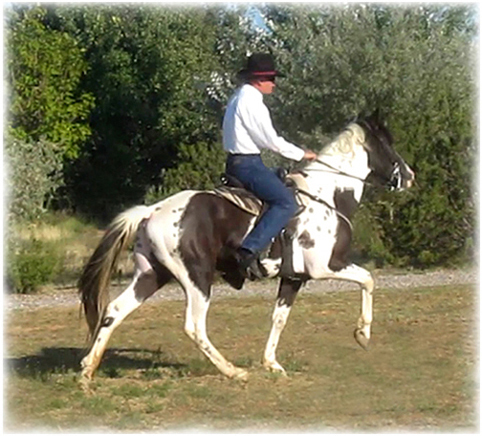 There are no lines to Joy Walker in today's tobiano Walking Horses. 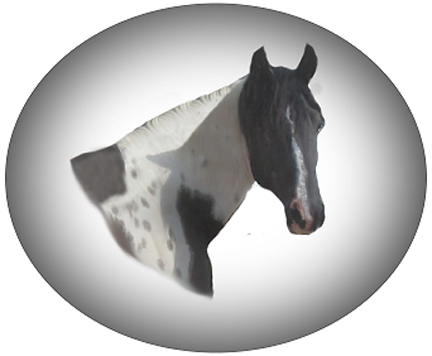 Therefore, Sandy Sun's Sally is the foundation tobiano whose offspring we find in the registry today. There are others however. 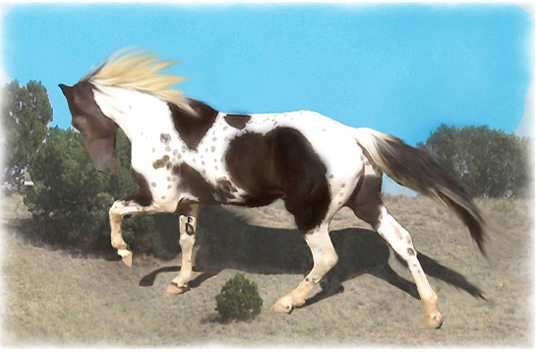 Inheritance of the tobiano gene was not always well understood. It is now known to be a case of simple Mendelian dominance controlled by one pair of alleles. 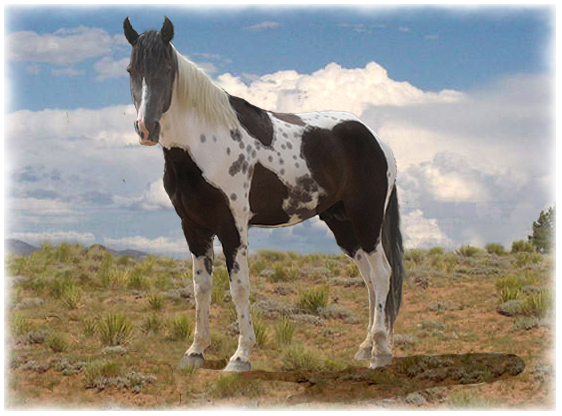 This means the tobiano pattern, unlike sabino and overo, cannot skip a generation and that a tobiano horse must have at least one genotypically tobiano parent. 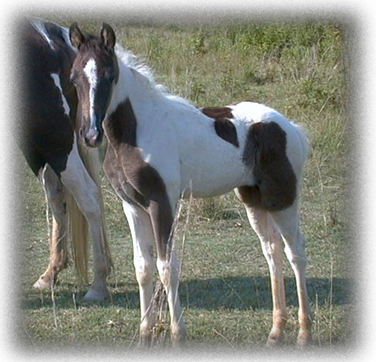 Before this fact was known, the Tennessee Walking Horse Breeders and Exhibitors Association allowed tobiano horses without one tobiano parent to be registered. 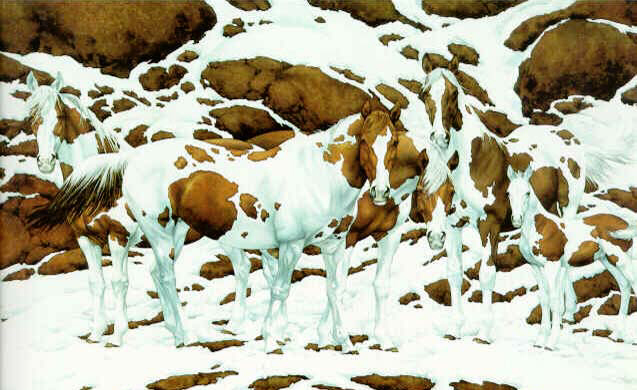 This brings into question the true parentage of these horses. 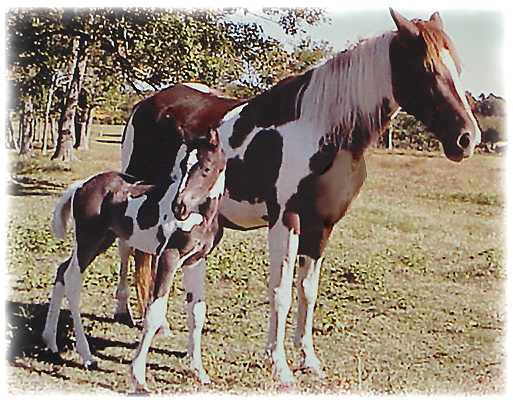 These so called "grandfathered" horses and their offspring are not from 100 % registered Tennessee Walking Horse stock. 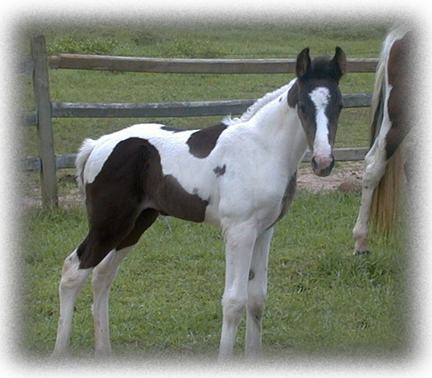 In 1989, the requirement of blood typing was adopted by TWHBEA to maintain the integrity of the breed. The "grandfathered" horses and their off spring, having been previously registered, remain on the books. 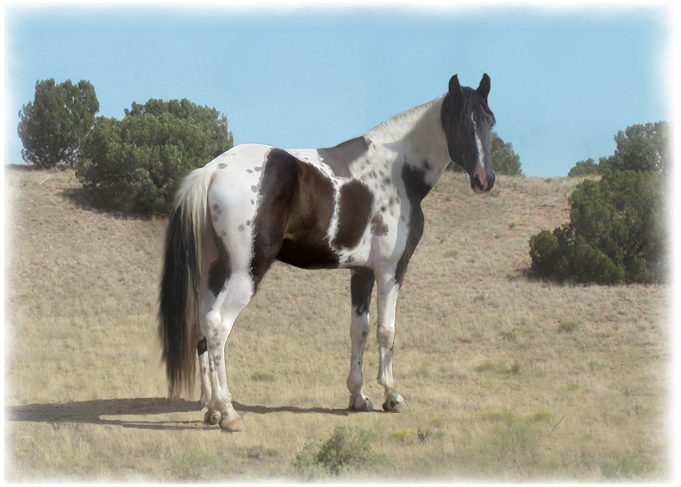 Individuals who want to own a registered tobiano Walking Horse can only be assured that the horse is 100 % Tennessee Walking Horse if the horse's pedigree traces to the foundation of the breed. 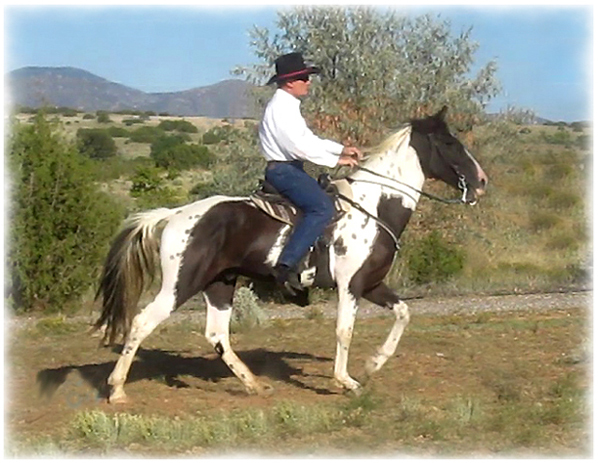 Tennessee Walking Horses, Racking, Stallion, Tobiano Walking Horses, Homozygous tobiano, homozlygous, walking horses, Palomino, RHBAA, SSHBEA, IPWHR, Gaited, Spotted Saddle Horses, Tobiano Horse, Dilute, Gait, Black and White, New Mexico, Tobiano, Palomino, homozygous tobiano, Last Chance Bred Horses, Flat Shod, Naturally Gaited Horses, Southwest,Tennessee Walking Horses, Walkers, Racking, Stallion, Palomino, RHBAA, SSHBEA, IPWHR, Gaited, Spotted Saddle Horses, Tobiano Horse, Dilute, Gait, Black and White, Flat Shod, For Sale, New Mexico,Tobiano, Homozygous Tobiano, Palomino,Tennessee Walking Horses, Spotted Saddle Horses, Homozygous Tobiano horses, breeding, training and selling naturally gaited tennessee walking hroses and homozygous tobiano walking horses, homozygous.